Amazon’s Prime Day sale is a 36-hour shopping extravaganza that will start at 12 noon on July 16 and go on till midnight July 17. Here’s how you can make the most of your sale shopping and spot the best deals on Amazon during the Prime Day Sale. The Prime Day Sale is Amazon’s marquee sale event which happens yearly, all around the globe. This year, Amazon is organising the Prime Day sale worldwide on July 16, during which the e-commerce giant will host millions of shopping deals across product categories ranging from electronics to fashion, household items, furniture, accessories and more. 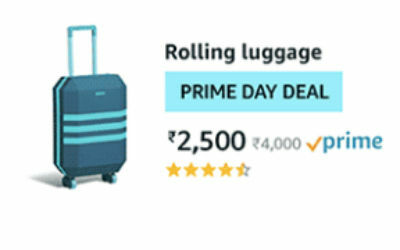 In India, the Amazon Prime Day sale will see over 200 new products launch on the platform, alongside big discounts on tech merchandise including smartphones, cameras, speakers, media streaming devices, laptops and a whole lot more. Since there will be plenty of full day deals as well as short-lived lightning deals to scour through, finding the best offers can sometimes become challenging. The purpose of this guide is to help you make the most of Amazon’s Prime Day sale, including finding the best deals and getting super-fast delivery of your loot. So without further ado, let’s get you fully prepared for your online shopping fiesta on Amazon. Amazon has over 100 million Prime members across the world and to participate in the Prime Day Sale, you will have to become one too. 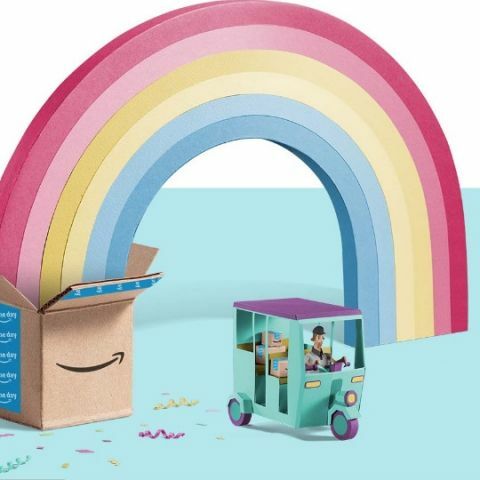 The Prime Day Sale, as the name suggests, is exclusive only to Amazon’s Prime members, even those who are on a 30-day trial period. The benefits of Prime Membership are plenty and it’s definitely worth investing in given that members not only get unlimited free and fast shipping, they also get access to Amazon Prime Music and Prime Videos for an ad-free music and video streaming and downloading experience. Prime Members are further eligible for early access to Lightning Deals on Amazon. Lightning Deals are time-sensitive and offer limited number of discounts on select items for a short period of time. Prime Members can get notified if the products they plan to buy are available through Lightning Deals by adding those products to their wishlist on the Amazon app. By creating a wishlist on the Amazon app, you will get notified first when the item of your choice goes on sale, giving you a chance to buy it before others. There will be several Lightning Deals throughout the 36-hour-long Prime Day sale so its time you start creating your shopping wishlist on the Amazon app. Amazon Prime membership costs Rs 999 for the entire year with all the above mentioned inclusions. If you do not want to commit to a year’s membership, you can also join Prime for Rs 129 per month. Better yet, If you have an Airtel or Vodafone connection, you can avail discounted or even free membership to Amazon Prime, so head to your My Airtel app or Vodafone app to check if you are eligible for the offers. 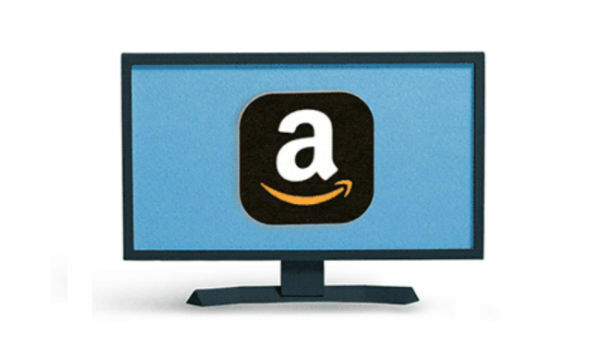 Head here to pay and sign-up for Amazon Prime. The Amazon Prime Day Sale starts at 12 noon on July 16 and ends midnight on July 17. Make sure you shop within this 36-hour sale window to get the best discounts. Availability of some popular items can be limited, so make sure to add items in your wishlist to get notified of Lightning Deals and other offers. Know that if you take too long to decide on your purchase, items could run out of stock since the demand during Prime Day Sale days is usually very high. It’s key to watch out for the Prime Day Deal badge on products to distinguish them from other regular deals. Look for the badge on any specific item you search for on Amazon.in during the Prime Day Sale. The Prime Now app is designed for those who like ultra-fast deliveries of their products. The app is available on both iOS and Android, and Prime Members in Bengaluru, Mumbai, New Delhi and Hyderabad can expect same-day, ultra-fast 2-hour deliveries between 6am to midnight by placing orders through this app. We suggest you download the Prime Now app if you are shopping in any of the above mentioned cities to get the satisfaction of seeing your sale goodies on the day you purchase them. During the Prime Day Sale, smartphones like OnePlus 6, Moto G6, Xiaomi Redmi 5 and RealMe 1 will be eligible for Amazon’s ultra-fast 2-hour delivery to customers in the above mentioned cities. Amazon will also deliver its own devices including the Fire TV Stick, All New Kindle, Kindle Paperwhite (WiFi), Echo Dot and other Echo smart speakers within two hours of placing the order on Prime Day through the Prime Now app. Alternatively, customers can schedule their deliveries in convenient two-hour slots available for the same day or the next day. Other items such as consumer electronics, home & kitchen supplies, fruits & vegetables, grocery, staples, meats, and more are also eligible for 2-hour delivery on Prime Day and to meet this delivery promise, Amazon India has fully equipped 15 fulfilment centers with temperature-controlled zones. Amazon usually gives its Prime Members additional benefits for shopping through their Amazon Pay wallets. After you sign-up for Prime Membership, load up your Amazon Pay account with any amount you desire or require for buying your sale items. During the Prime Day Sale, Amazon will offer 10% cashback to Prime Members who shop with their Amazon Pay balance. However, before you load up your Amazon Pay with money, be sure to check if the cashback offer is applicable on the product you wish to buy. If you don’t want to miss important deals during the Prime Day Sale, the Amazon Assistant is a valuable tool to track them. The Amazon Assistant is a browser extension and it notifies users when deals that they’re watching go live with desktop notifications. The Amazon Assistant also helps you quickly compare products so that you don’t have to navigate the entire website to find similar products. Further, the Assistant gives you shortcuts to popular Amazon destinations right in your browser. The Amazon Assistant is available for Chrome, Firefox 53.0+, and Opera browsers only. You can head here to install it on your browsers. To make this year’s Prime Day Sale sweeter, Amazon has a unique offer for Prime Members who also stream music on the Prime Music app. 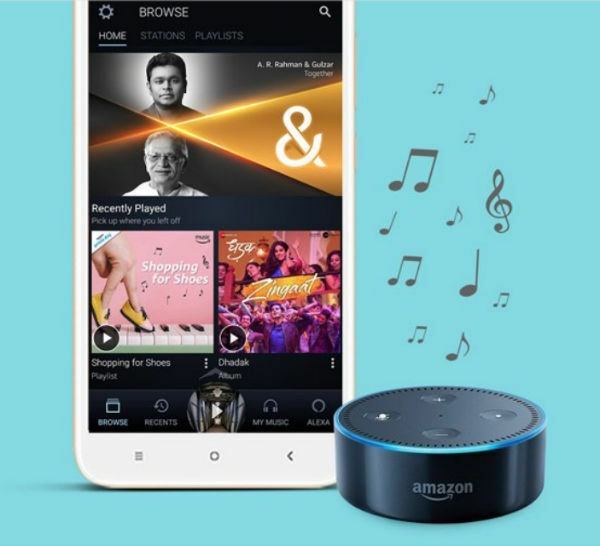 Before the Prime Day sale starts on July 16, Amazon is offering Prime Music listeners a chance to win an Echo Dot everyday till July 15. All you need to do is play 3 unique songs on Amazon Prime Music from your account for at least 30-seconds each and you will be eligible for winning one Echo Dot speaker. For those looking to pick up new gadgets, Amazon will be offering deep discounts of up to 40 percent on smartphones and accessories, up to 50 percent on other electronics, up to Rs 40,000 on laptops, up to 50 percent off on cameras and accessories, up to 60 percent on headphones and up to 40 percent on monitors. We know that the OnePlus 6 Red Edition is launching exclusively on Amazon on July 16, so we expect some Prime Day deals on the new smartphone as well. Apart from discounts, Amazon will offer further reductions on exchange of old devices, so make sure you check for exchange offers if you are willing to trade in your old devices for new ones. Amazon’s own range of devices will be available at the lowest prices of the year during the Prime Day sale. These include the Echo range of smart speakers, Fire TV Stick, and Kindle e-readers. In fact, the company has teased up to 100 percent cashback when buying the Fire TV stick. Prime members can also avail an additional 10% discount when using their HDFC bank credit or debit cards to make a purchase during the Prime Day sale. The company notes that over 8000 products on the site will be available with a No Cost EMI during the sale period. 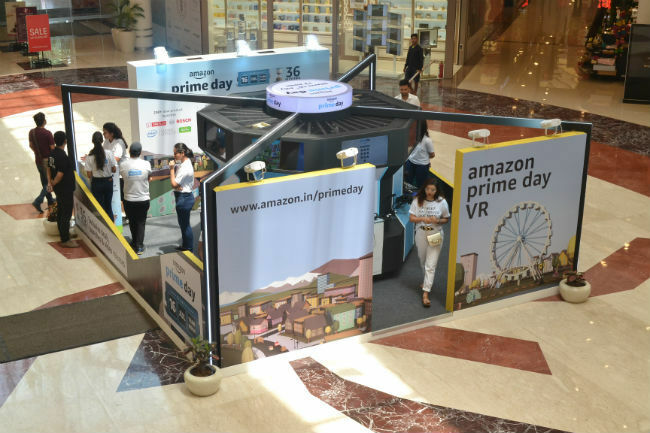 If you are one who likes to physically experience products before buying them and if you happen to be in in Delhi, Mumbai, Bangalore, Chennai or Kolkata, you can head to some popular malls around you until July 17 to experience Prime Day exclusive products in virtual reality. Amazon Prime Day Experience Zones will let users view products in life-size, inspect products up close, enjoy 360 degree views and evaluate products in the environment that they are likely to use it in. Lastly, keep checking Digit.in for the best tech deals during Amazon’s Prime Day Sale. We have a practice of bringing you great gadget deals across tech categories daily and during the Prime Day Sale, we will attempt to make your life easier by compiling the best, most exclusive deals available on the platform. How to escape firewall to make the blocked sites work..
How do you make the cd interface? which is the most simplest and easiest method to root a smartphone?